A cosy well equipped 2 bedroom cottage with an enclosed garden, situated in Mundesley with its wonderful sandy beach and a good range of shops, pubs and cafes. Also ideally located for visiting the Broads and the historic city of Norwich. 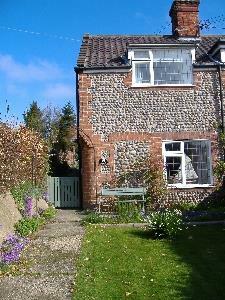 Wild Rose Cottage is situated at the beginning of the quiet High Street into Mundesley on the B1145 from North Walsham.